Don't let the rush hour stress take its toll on you! Finish your skincare regimen at home, but don’t put on your makeup yet! Applying sunblock before you commute will ensure that your face is protected from pollution and sun damage, and forgoing the makeup means you don’t arrive at work sticky and hulas. This also means you can leave home a few minutes earlier! One of the biggest problems faced by a girl who commutes is an oily face. Combat the shine by packing oil control sheets in your bag. For added freshness, bring tissues and wet wipes to wipe away your sweat while you’re in line for the MRT. Ballet flats and espadrilles may be ultra-cute, but you wouldn’t want to be wearing them when you’re caught in a downpour. Always pack a pair of slippers and a foldable umbrella in your bag for when thunderstorms strike. Pollution and humidity suffocate and weaken your tresses, making hair fall (it's like hair asthma!) more likely when you commute. Beat pollution with a nourishing shampoo and conditioner combo like Pantene’s Hair Fall Control Shampoo and 3 Minute Miracle Conditioner! The Pantene 3 Minute Miracle Conditioner, a Cosmo Beauty Awards winner, helps repair three months' worth of damage in three minutes. It spreads over your locks evenly, hydrates without the greasy feel, and can keep your hair in top shape even when exposed to pollution. 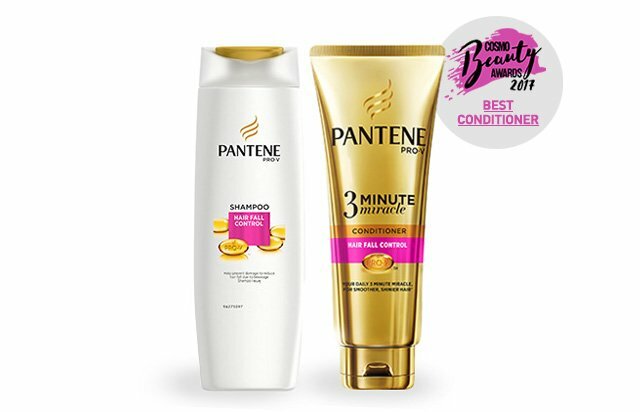 Get the Pantene Hair Fall Control Shampoo and 3 Minute Miracle Conditioner on Lazada.ph!